Even as Netflix has become the common go-to for at-home entertainment, navigating the streaming service hasn't become much easier if you don't have a specific show or movie in mind. A new widget could make finding something to watch on Netflix much easier, helping viewers narrow down options to hidden genre subcategories. 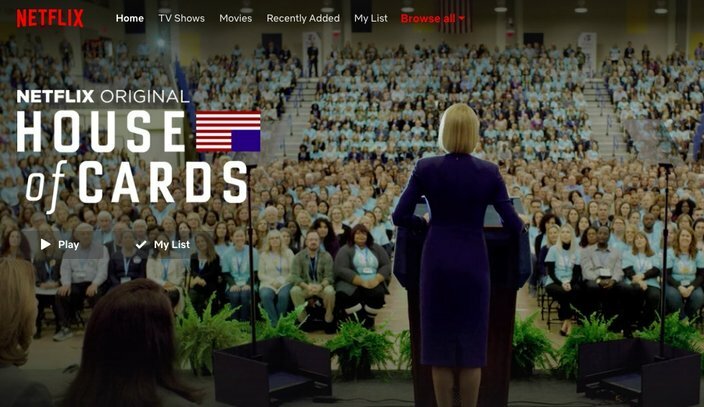 A Google Chrome extension called Better Browse is a free plugin that rearranges the Netflix homepage, adding a new "Browse All" option to the menu at the top of browser's window. A Google Chrome extension adds a “Browse All” drop-down menu to reveal a ton of film and tv subcategories. Click the red "Browse All" menu, and scan the drop down. You'll see Netflix offerings broken down into many different categories – "Adult Animation," "B-Horror," "Christmas Movies," and "Mockumentaries" are just a few from the alphabetical list. Hopefully this new Netflix hack will guide you toward a peaceful binge-watching weekend.